The capability to efficiently perform checkout, testing, and monitoring of aerospace vehicles, subsystems, and components during flight operations in the presence of uncertainties, nonlinearities, and component failures is a challenging problem. This requires intelligent systems with the ability to perform timely status determination, diagnostics, prognostics, and decision making as a key aspect to increase the safety of missions. This book describes the design, development, and flight-simulation testing of an integrated Artificial Immune System (AIS) for detection, identification, and evaluation of a wide variety of sensor, actuator, propulsion, and structural failures/damages including the prediction of the achievable states and other limitations on performance and handling qualities. The NASA IFCS F-15 research aircraft model is used and represents a supersonic fighter which include model following adaptive control laws based on non- linear dynamic inversion and artificial neural network augmentation. 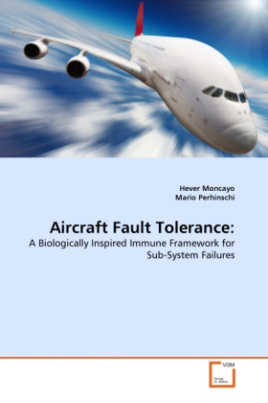 Flight simulation tests are described to analyze and demonstrate the performance of the immunity-based architecture.